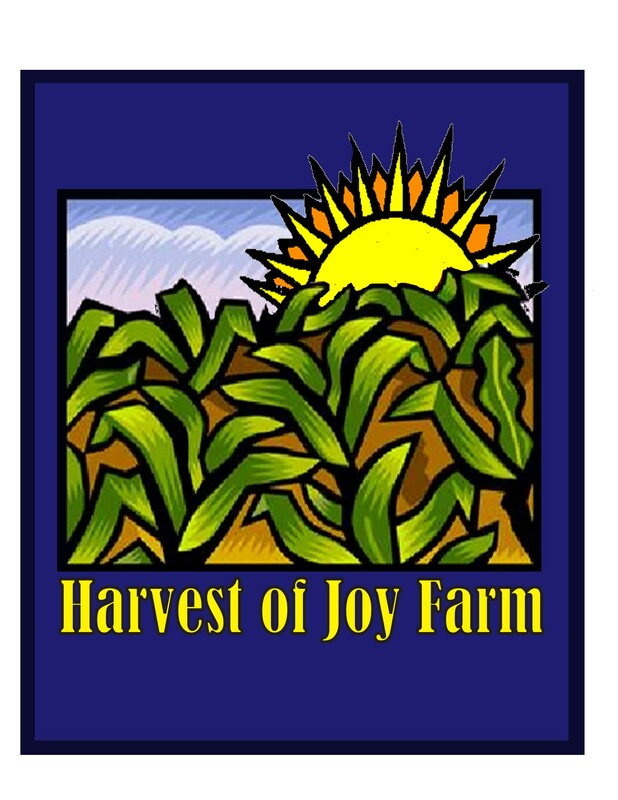 At Harvest of Joy Farm LLC, we seek to develop, practice, and share farming systems that mirror the resilience, diversity, and self-sufficiency of a healthy biotic community. We offer vegetables, herbs, and fruits to our community through our CSA and on-farm market, as well as educational opportunities for those who wish to learn to grow more of their own food. Healthy Soil: The soil food web is the foundation upon which all other food webs are built. The health of plants, animals, and humans depends upon healthy, living soil. We feed our soil with compost, cover crops, mulch, and organic fertilizers and use techniques such as crop rotation to keep our soil alive and healthy. Carefully Selected Seeds: We honor the ancient, mutually-supportive relationship between humans and agricultural crops by sourcing organically grown seeds as much as possible, selecting varieties primarily for taste, but also for their abilities to withstand pests and challenging growing conditions. We save seeds from crops particularly well-suited to our land and support plant breeders dedicated to increasing the diversity of and open access to the genetics of our food crops. Organically Grown Plants: Our commitment to growing organically reflects our belief in the interconnectedness of living systems. We strive to replicate the dynamics of healthy ecosystems within our gardens and rely on physical and biological methods to prevent and address pest problems. We acknowledge that if we were to apply toxic chemicals to our gardens, these chemicals would end up in our own bodies; therefore, we use only organically approved chemicals only when necessary to save a crop. Delicious, Healthful, Freshly Harvested Produce: We believe that pleasure and health go hand in hand. We harvest at the peak of ripeness and get our produce into the hands of our community members as quickly as we can so that they can enjoy the most delicious produce possible. We also share our favorite recipes and tips for storing, preparing, and preserving fresh, organically grown vegetables. Ecological Health: As caretakers of the land we farm, we employ conservation practices which promote healthy soil, air, and water, and which encourage biological diversity. We understand our relationship to our land to be reciprocal: as we take care of the land, so the land will take care of us. Energetic Sustainability: True sustainability requires that we think both locally and globally. We practice energy conservation and use renewable sources of energy when feasible. Since earth’s systems are inter-connected, depleting other ecosystems to support our own is ultimately self-defeating. Thus, we seek agricultural models that are energetically self-sufficient. Economic Sustainability: We acknowledge that it may not be possible for us to earn a fair wage using slow farming methods within the current U.S. economy. We pursue multiple strategies for sustaining our farm financially and plan our farming activities to keep our costs low and to reap non-monetary rewards such as producing much of our own food and finding satisfaction in our daily work. Ongoing Education: The natural world is complex and ever-changing. We continue to learn and experiment with new tools and techniques to improve our sustainability, resilience, and the quality and diversity of our produce. We offer community members learning opportunities as well, through volunteering on the farm, talking with us, and reading our writings. Community Service: We strive to be good stewards of agricultural knowledge as well as good stewards of our community’s air, water, soil, and energy. We deliberately cultivate low-cost/low-tech growing systems that can be easily replicated by home gardeners, community gardeners, and other small farmers. We share our knowledge and resources happily with those who wish to learn from us. If you’d like more information about our farm or to arrange a farm visit, please email us at thefarmers(at)harvestofjoyfarm.com. Through Sustainably Grown Food” ended up being a good article. If solely there were way more personal blogs like this one on the actual cyberspace.